As part of the renovation works carried out in No. 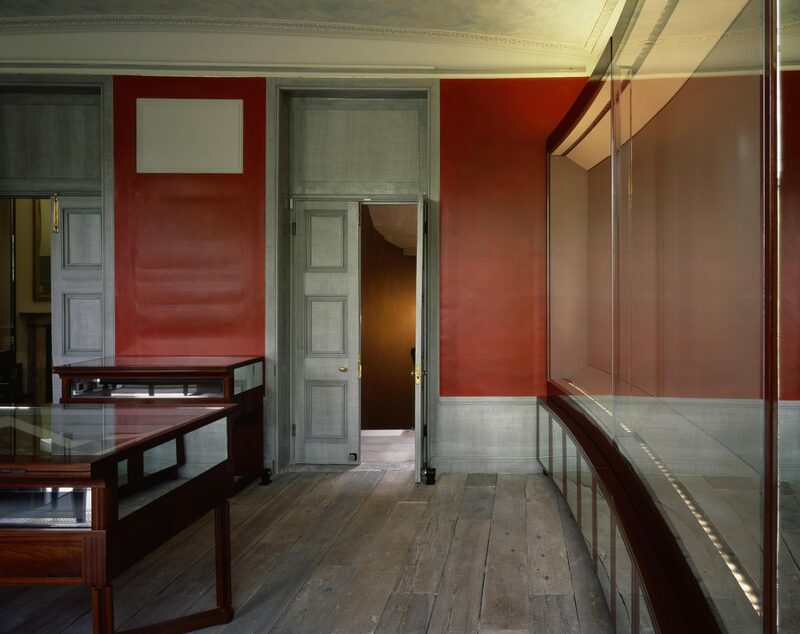 12, the first house bought by Sir John Soane Soane at Lincoln’s Inn Fields, 3 new interiors have been designed within the restored rooms of the listed buildings. The design intends to mediate carefully between the adjacent historic rooms and the new facilities to avoid harsh transitions between old and new. 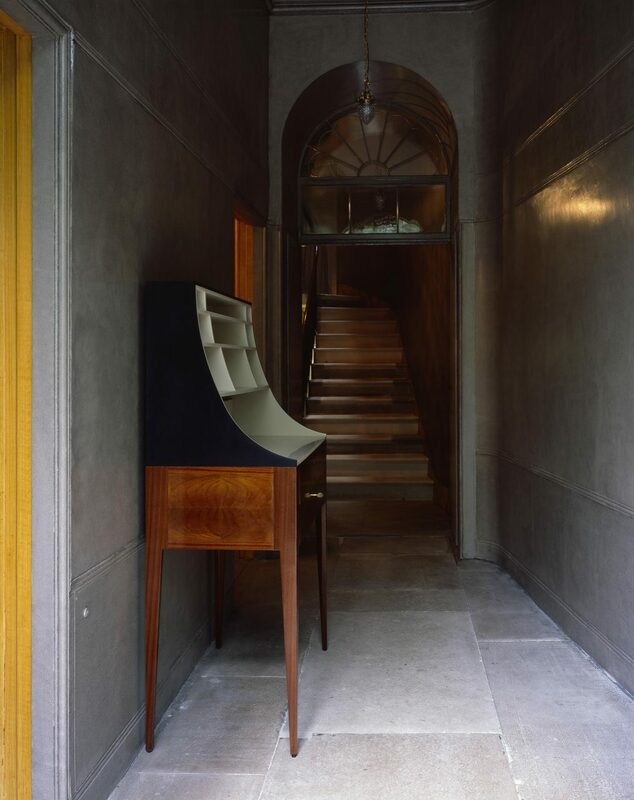 While echoeing some of Soane’s details and material palette the design assembles mahogany, mirror or Corian elements in a language that resonates both classical and contemporary architecture. The gallery cases have been designed to fulfill highest museum standards in terms of lighting control, humidity and security. Their complex geometry follows the gentle curves of Soane’s original rooms.